We wanted to give you an update on the events of yesterday evening, April 18th, at our facility. There was an electrical fire in the ceiling above the CV Kids upstairs classrooms and gym area. No one was injured. The fire was not extensive, but damage from smoke and water is usually much greater than the fire itself. The damage seems to be primarily in the CV Kids classrooms upstairs. We don’t know the cause yet or if it is related to the roofing work in that area of the building. However, we are grateful that the roofers saw the smoke and called 911 immediately. Fire crews were on the scene and had the fire contained within minutes. Right now, we have more questions than answers, but we wanted to keep you updated on what we do know. As a precaution, electricity has been turned off in the building. Because of safety concerns and city regulations, we have to keep electricity off until both the insurance and city inspector clear the specialists to identify the source of the fire and eventually restore power. Because we are unsure when power can safely be restored, we have decided to cancel Good Friday service. We will continue with our plans to have the Easter egg hunt at Hawthorne Elementary Saturday 11am-1pm, so we would love to see everyone there. We are thrilled to announce that we will be combining our Easter service with Our Lord’s Community Church. They have graciously offered to share their home with us on Easter. Please join the Crestwood family on Sunday morning at OLCC, 10:30am at 11400 N. Portland Ave. 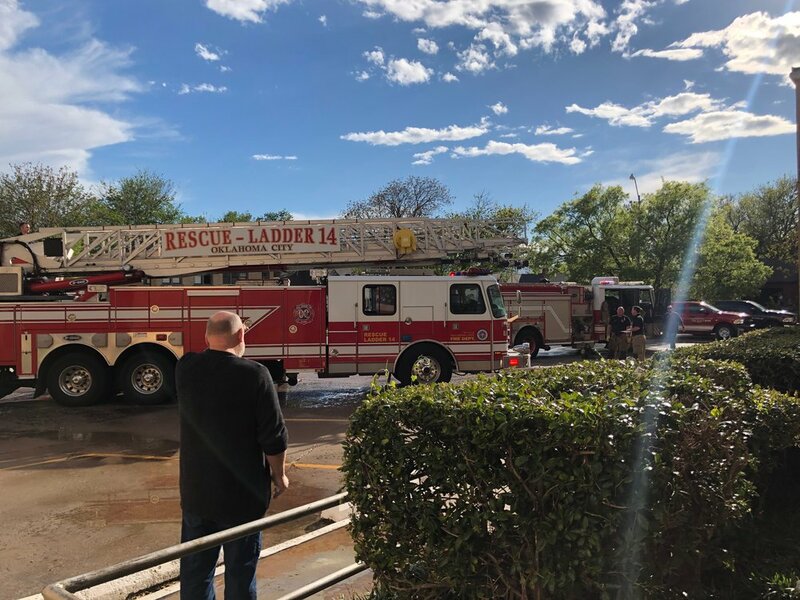 It is unfortunate that we had to change plans because of the fire, but we are grateful for the opportunity to celebrate the resurrection of Christ with the wider Body of Christ and for OLCC’s hospitality and excitement in offering to help however they can. Here are the next steps we are aware of with the building. An insurance adjuster should be able to inspect the building this afternoon to determine the extent of damage inside the building. The adjuster can then decide whether clean-up specialists should be called in to make sure there is no dangerous smoke or water remaining in the building. We won’t allow anyone into the damaged areas until we are certain it is absolutely safe. What the clean-up process looks like is still to be determined. I know many of you have already reached out to offer help. As soon as we have a better idea of what we are dealing with and how you can help, we will let you know. We realize that you may have many questions and concerns, and we will continue to post updates on social media and our website as we know more information. Please keep our CV family and facility in your prayers as we go through this process.